Just 50 metres from the long, sandy beach of Plaka, Villa Harmony features an outdoor pool with hydromassage jets and a snack bar. 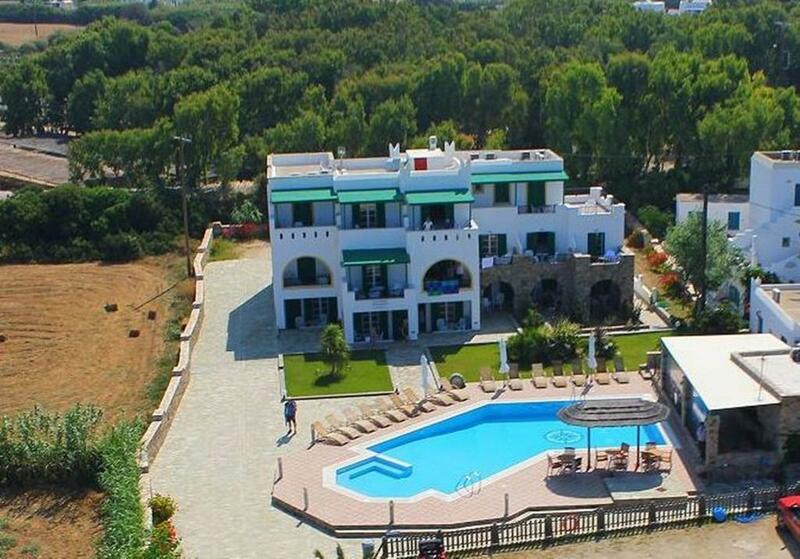 It consists of self-catered studios with free Wi-Fi and pool or sea view. 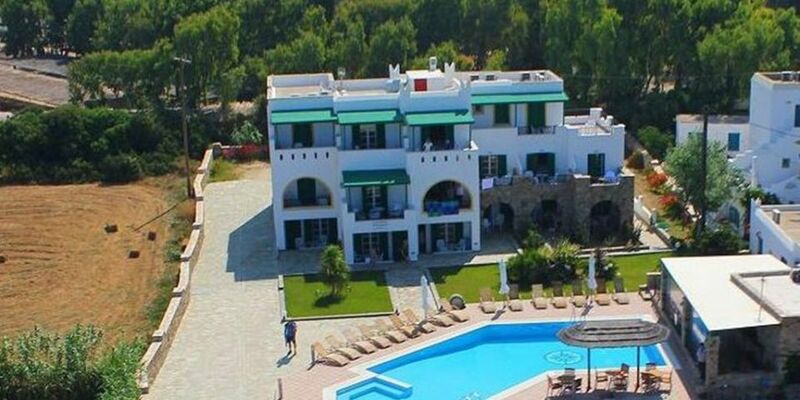 Studios at Villa Harmony are spacious and air conditioned and open to a furnished balcony. Each has a kitchenette with 2 cooking rings, mini fridge and kitchenware. Facilities also include a TV and hairdryer.